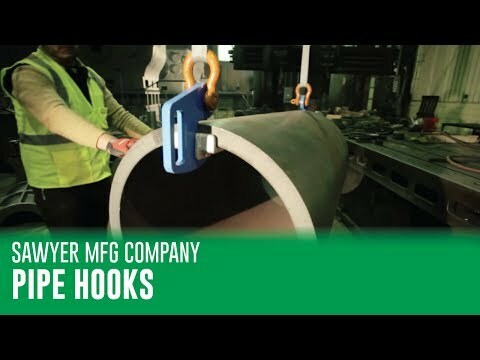 Sawyer’s Pipe Hooks are convenient, durable and safe. A 5:1 safety rating beats the industry standard of 3:1, making Sawyer the ideal choice. Pipe lifting hooks are available in three sizes to easily handle any difficult pipe lifting projects with a maximum capacity of 25,000 lbs. per hook. The interchangeable cast aluminum alloy inserts minimize damage to beveled pipe. A wide mouth version provides an additional one inch clearance for heavier wall pipe. With reduced pinch points and integrated handles on most models, there isn’t a safer pipe hook on the market.